We all have a mental picture of what various geek type people look like when associated with certain tech brands. 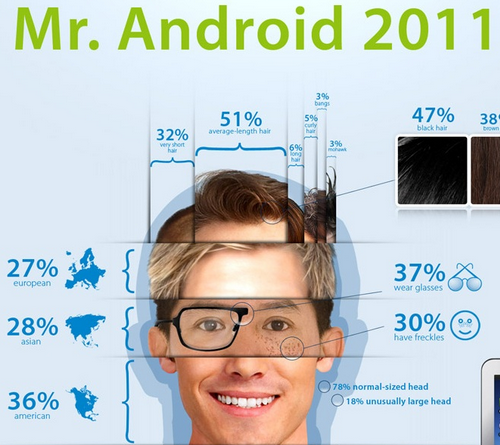 You know, the Apple artsy type, the Linux kid in the basement of his parent’s home, and the dorky looking Windows users; but what do you think that an Android user looks like? Well the good folks at BlueStack decided to use their super secret ident-a-kit and after slicing and dicing a bunch of info they have collected they created a composite Android user for you to have a good chuckle over, unless of course you are an Android user and you look like this.